1. Heat the oil in a wide pan with a lid, then cook the onion, pepper and ginger together for 5 mins, stirring, until softened. 2. Stir in the rice and Grace Jerk Seasoning and Grace Jerk BBQ Sauce for 1 min more, then pour over the stock. 3. 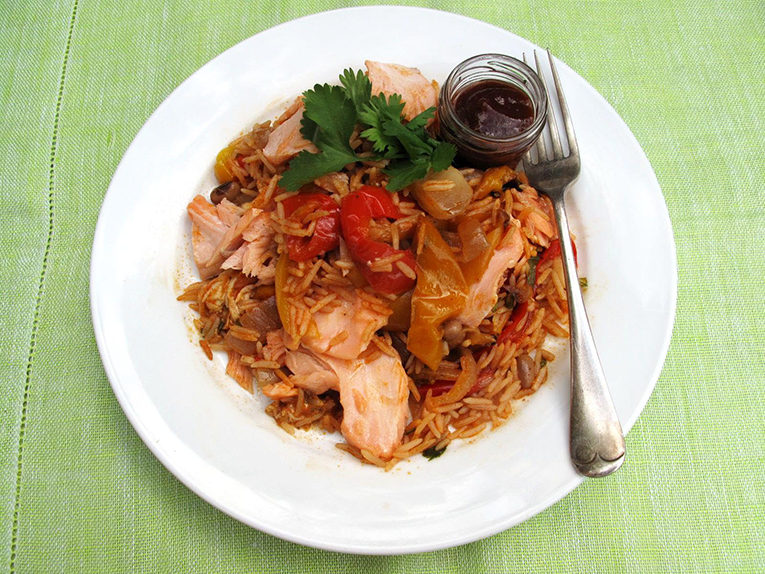 Top with seasoned salmon fillet. Cover with the lid. Cook for 12 mins until the rice is tender and stock has been absorbed. If the rice is tender but a little stock remains, turn off the heat, cover again, then leave for 2-3 mins. 4. 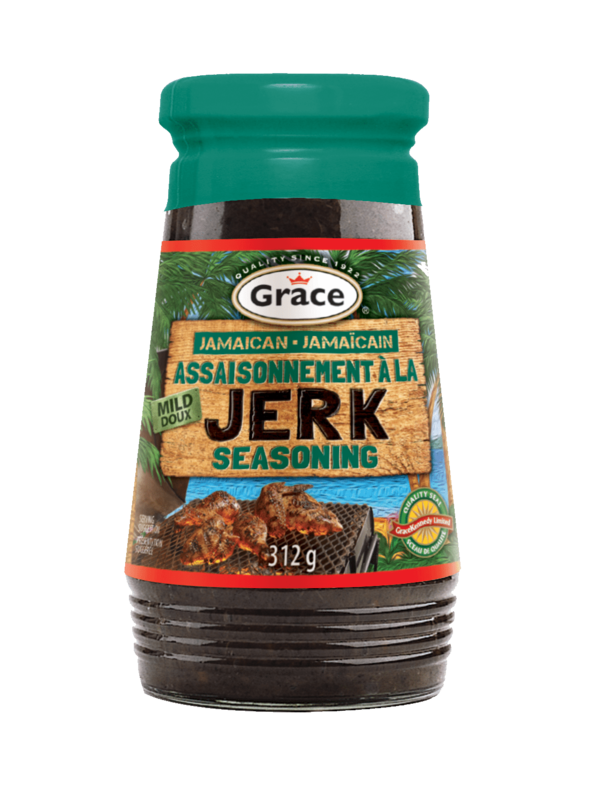 Season and serve with coriander leaves and extra Grace Jerk BBQ Sauce – Enjoy!